Jennie, her husband Shep, and her two children are in the car, on their way to Lancaster, Pennsylvania, to live in a house they have just inherited from a distant relative, Lucky thing, too, as their own house was headed towards foreclosure. Her husband, Shep, had just been fired from his former job just prior to inheriting this home, and also inheriting a NEW job, too. A bicycle store from this same relative. Shep is against his wife, Jennie, working because he wants her to stay home and raise the children, (and this is repeated several times through the story which was a little irritating to me), and this really bothered Jennie. Sure, it's nice to be home with the children, but when it is clearly evident that a second income is needed to help the family out, Shep is still against it. When the family arrives at the house, it is not what they expect. In fact, it is in much worse condition than they could ever have imagined, and being in such financial straights, they could not even afford to paint the inside rooms of the house. Jennie makes due with what they have and tries to make the house as comfortable as she can. At Shep's new job, he ends up coming home from work and turning to drinking beer. Another thing is Shep does not want Jennie to see inside the bicycle shop, and this bothers her. She feels as if he is hiding something. Jennie takes their dog on a daily walk. During this time, she meets her friendly Amish neighbor. Sometimes they even get to talking. This Amish woman is not stand-off'ish like some Amish people can be towards the English. Jennie is quite happy with this. This Amish woman really impresses her because of all the children she has and all of the cooking as well. Through the story, these two women and their families become closer and closer, and form a close friendship. and each family helps each other out in many ways. Jennie even starts to make candy - peanut brittle, the first of her candies she makes to sell at a local Farmer's Market. She does this as a way to earn extra money for her family, and becomes very good at it and successful. Her candy business is growing by leaps and bounds, all the way to having someone in the family being able to build a website to sell the candy on the internet. Shep eventually starts to come around, especially as he learns how much of a success his wife has made her candy business into a success. Jennie ends up getting the entire family to go to the bicycle shop and they work at getting the bicycle shop up and looking a lot better, even painting it. 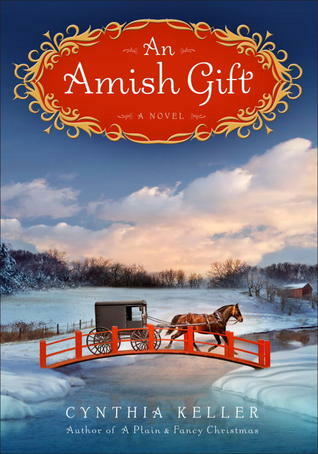 Jennie does learn a lot about the amish, and that less is more, and she tries to incorporate this into her own family life. This story was enjoyable, but it felt too rushed, almost like something was missing from it. Perhaps it was too rushed given the time span it covered, about a year and a half, or two Christmas' worth, and so much happened in such a short amount of time. This is a nice, feel-good type of book. Everything in this story worked out so well, despite some of the family's problems. All the problems turned out to have a happy ending. Maybe if this book did had the chance to go a little deeper into the story line, it would have lived up more of what I expected it to. Not all stories have every part of it turn out to have such a happy ending to all of their problems like this one did, too. Another part of the difficulty I had with this story and why it felt so rushed to me, as I've already said, was all of this was fit into 256 pages, and that was not enough to get very deep or more into the details of the story. We did get to learn how she felt at times, her deep concerns about money and making ends meet and the difficulty about her marriage, and trying to make life simpler for her family, yet at the same time it became more difficult with her new business. Making their life trying to be simpler, for me, didn't work. This author just added Amish characters who live the simple life. This is where I believe the story didn't work for me. I never made friends with Jennie. She was only a character in a book. All of the characters in this book were just that. Characters. I never made a bond with them. All I did was read about them. This book is a take it or leave it for me. This is a LINK to the Ebook: $9.99 - Click on the photo of the book!